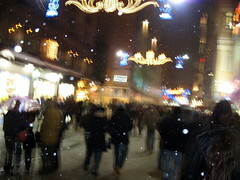 At 2:30 a.m., İstiklal Caddesi, the popular pedestrian thoroughfare in my neighborhood was full of people having snowball fights and making snow angels in the street. 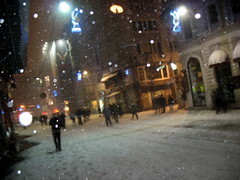 I live in Istanbul and it's snowing. Somehow, right now, that's enough.